Camera calibration is an essential step for many computer vision applications as well as computational photography. If you want to know how far something is away from your camera or even get an undistorted image out of it, it must be calibrated. 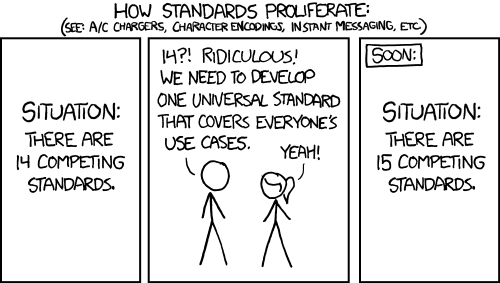 Unfortunately existing calibration utilities are cumbersome to use and often not available on linux. It will guide you through the calibration process by displaying a series of target overlays like you see in the cover image. For details on the pose selection, see the above paper. In case you want to employ Blender for Computer Vision like e.g. for generating synthetic data, you will need to map the parameters of a calibrated camera to Blender as well as mapping the blender camera parameters to the ones of a calibrated camera. # yes, shift_x is inverted. WTF blender? # and shift_y is still a percentage of width.. Note that f_x/ f_y encodes the pixel aspect ratio and not the image aspect ratio w/ h.
Blender enforces identical sensor and image aspect ratio. Therefore we do not have to consider it explicitly. Non square pixels are instead handled via pixel_aspect_x/ pixel_aspect_y. 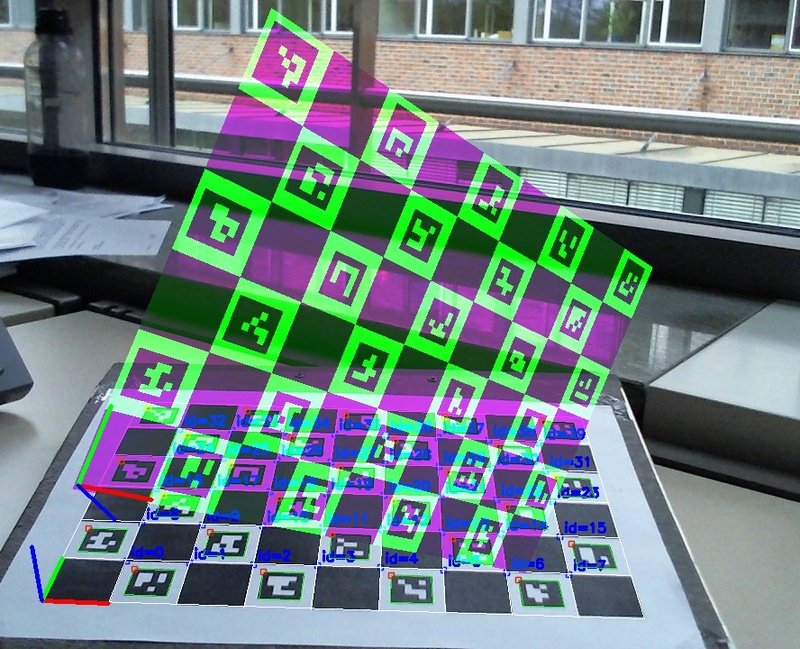 We left out the skew factor s (non rectangular pixels) because neither OpenCV nor Blender support it. Blender allows us to scale the output, resulting in a different resolution, but this can be easily handled post-projection. So we explicitly do not handle that. Blender has the peculiarity of converting the focal length to either horizontal or vertical field of view (sensor_fit). Going the vertical branch is left as an exercise to the reader. One major grief for me when surfing on Android are ads. They not only increase page size and loading time, but also take away precious screen estate. Unfortunately the native Android browser, which nowadays is Chrome, does not support extensions and hence there is no ad-blocker. Therefore I was quite optimistic when Google announced they will be enforcing the betterads standards with Chrome – aka ad-blocking light. However after having used Chrome only showing “betterads”, I must say that they are far away from what is tolerable to me. As someone who has to pay for hosting I fully understand that Ads are part of the game – but lets face it; as long as annoying ads get you more money, there will be annoying ads. Ad-blockers are a very effective way to let money speak here.. So I needed an adblock-capable browser on Android. Fortunately Mozilla greatly improved Firefox performance with their Quantum incentive. Or maybe modern Smartphones just got a lot faster. Anyway.. a recent Firefox virtually performs the same as Chrome on Android and thus is a viable alternative. As of recently there is also Microsoft Edge for Android, but actually it does not gain an edge over anything. So lets stick with open source software. With switching to Firefox on Android one should switch to Firefox on Desktop as well, so you get sync across devices. Unfortunately Firefox has bad default settings on Linux. For one – unlike Chrome – it does not use client side decorations by default, and thus wastes space in the title bar. But this is easy to fix. They default to false due to issues on some obscure Mesa/ Xorg combinations, but generally work well for me with Nvidia drivers. this will make Firefox correctly handle touch events instead of translating them to mouse wheel scrolling. This way you get pixel perfect scrolling on touch-pads and it is a prerequisite for drag to scroll on touch-screens. Still you will need some time to adapt to Firefox; e.g. there is no pull to refresh. However there are other bonus points besides adblocking; for me the synchronized tabs sidebar (on desktop) has proven to be an invaluable usability improvement. 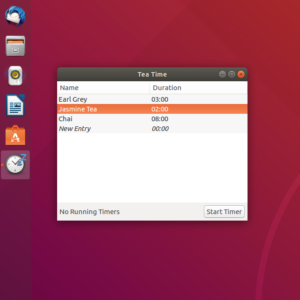 I updated my two little Apps; Teatime and Sensors Unity to integrate with Ubuntu 18.04 and consequently with Gnome 3. For this I ported them to the GtkApplication API which makes sure they integrate into Unity7 as well as Gnome Shell. Additionally it ensures that only one instance of the App is active at the same time. As Dash-to-Dock implements the Unity7 D-Bus API and snaps are available everywhere this drastically widens the target audience. To make the projects themselves more accessible, I also moved development from launchpad to github where you can now easily create pull-requests and report issues. Furthermore the translations are managed at POEditor, where you can help translating the apps to your language. Especially Sensors Unity could use some help. I recently migrated a server to a new VHost that was supposed to improve the performance – however after the upgrade the performance actually was worse. Looking at the system load I discovered that the load average was at about 3.5 – with only 2 cores available this corresponds to server overload by almost 2x. Further looking at the logs revealed that this unfortunately was not due to the users taking interest in the site, but due to various bots hammering on the server. Actual users would be probably drawn away by the awful page load times at this point. This effectively tells all bots to skip my site. You should not do this as you will not be discoverable at e.g. Google. But here I just wanted to allow my existing users to use the site. Unfortunately the situation only slightly improve; the system load was still over 2. But those were enough to keep the site (PHP+MySQL) overloaded. The above bots crawl the web for their respective SEO analytics company which sell this information to webmasters. This means that unless you are already a customer of these companies, you do not benefit from having your site crawled. In fact, if you are interested in SEO analytics for your website, you should probably look elsewhere. In the next paragraph we will block these bots and I am by far not the first one recommending this. As the bots do not respect the robots.txt, you will have to forcefully block them. Instead of the actual webpages, we will give them a 410/ 403 which prevents them touching any PHP/ MySQL resources. For additional fun you could also given them a 307 (redirect) to their own websites here. Recently I have been look on the Ogre Matrix class which has a fairly un-optimized, but straightforward implementation, that you can see here. I was wondering how it compares. Of course somebody had a similar question in mind before. Martin Foot that is. While the discussion still applies today, I felt like the results could have changed since 2012 as libraries and compilers have moved on. The used compiler was gcc with optimization level -O2. As we can see Eigen3 just downgrades the rest on x86_64 – probably due its explicit vectorization. Notably, CLM1 is having some issues and even falls behind the naive implementations. On ARM the results are more tight. With Eigen3 and CLM1 being about 25% faster at addition. However CML1 again has some issues with the mult test. We end up with Eigen3 being the overall winner and GLM being second (Ogre does not count as it is not a Math library). Also you should migrate away from CLM1 as the development focus shifted to CLM2 and the issues found above are probably not going to be resolved. there are many articles on the internet telling you to switch from Apache & mod_php to nginx to get better performance. However the main reason for performance improvement is not nginx itself but rather the way it integrates PHP. Apache traditionally used mod_php to embed the PHP interpreter inside Apache HTTP request handler. This way it can directly interpret PHP scripts whereas with CGI it would have to start a new PHP interpreter process first – per request. The drawback however is that the PHP interpreter is embedded in all request handlers – even those that just serve static files. 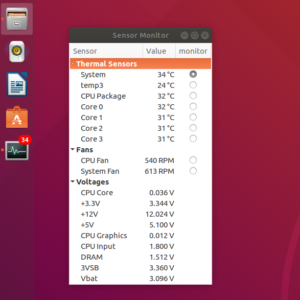 This obviously blows up memory consumption which in turn can lower performance. Nginx on the other hand uses the FCGI approach where a pool of PHP processes is started along the webserver using the FCGI process manager, FPM. The webserver then delegates individual requests using the FCGI protocol as needed. This avoids the PHP interpreter startup costs as well as starting it without a need and is the reason nginx is faster then mod_php. However since Apache 2.4 one can also use FCGI to integrate PHP and get virtually the same characteristics like nginx. Sticking with Apache saves you migrating all the .htaccess rules and means an easier setup for many webapps. Furthermore since Apache 2.4.10 one can use mod_proxy_fcgi for a reverse-proxy configuration which further reduces the occupied PHP workers in the FPM pool for better performance. this connects Apache in reverse proxy mode to the PHP-FPM pool using unix domain sockets for optimal performance. See the Apache Wiki for details. Note that php-fpm by default only creates 5 PHP worker processes, which in turn limits the maximal simultaneous connections. You might want to raise this by adapting pm.max_children in /etc/php/7.0/fpm/pool.d/www.conf. as one can see depending on the amount of static/ dynamic files and internal/ external requests we can bring down the page load time by up to 15%. 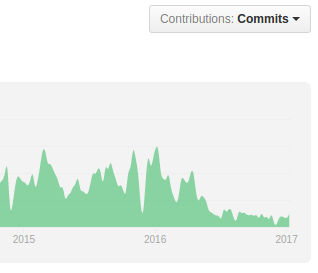 Recently the Meson Build System gained some momentum. It is time to stop that. Not that Meson is a bad piece of software – on the contrary, it is quite well designed. It sets out to create a cross-platform, more readable and faster alternative to autotools. But there is already CMake that solves this. You might say that CMake is ugly, but note that the CMake 2.x you might have tried is not the same CMake 3.x that is available today. Many patterns have improved and are now both more logical and more readable. Nowadays the difference between Meson and CMake is just a matter of syntactic preference. The Meson authors seem to agree here. After the introduction of the server mode it got native support by QtCreator, CLion, Android Studio (NDK) and even Microsofts Visual Studio. Native means that you do not have to generate any intermediate project files, but the CMakeLists.txt is used directly by the IDE. On the community spread side we got e.g. KDE, OpenCV, zlib, libpng, freetype and as of recently Boost. These projects using CMake not only guarantees that you can easily use them, but that you can also include them in your build via add_subdirectory such that they become part of your project. This is especially useful if you are cross-compiling – for instance to a Raspberry Pi. On the other hand, reinventing a wheel that is tailored to the needs of a specific community (Gnome), means that it will fall behind and eventually die. This is what is currently happening to the Vala language that had a similar birth to Meson. The meson devs might object that Meson generates build files that run faster on a Raspberry Pi. However if your cross compiling is working you do not need that. And honestly, that particular improvement could have been also achieved by providing a patch to the CMake Ninja generator.. Stumbled over another great guide to modern CMake. A new guide for CMake called CGold can be found here, which is of comparable quality to the Meson docs. But even if you argue that this is precisely the point why you should use Meson, I would argue that improving the existing documentation in CMake and adding more educational warnings is easier then writing something from scratch. First one should ask though: why? My main motivation was that many of the apps I use were easily available in the nextcloud store, while with owncloud I had to manually pull them from github. Additionally some of the app authors migrated to nextcloud and did not provide further updates for owncloud. 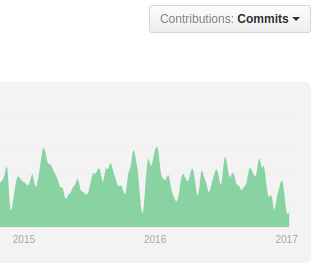 the graphs above show the number of commits for owncloud and nextcloud. Owncloud has taken a very noticeable hit here after the fork – even though they deny it. From the user perspective the lack of contribution is visible for instance in the admin interface where with nextcloud you get a nice log browser and system stats while with owncloud you do not. Furthermore the nextcloud android app handles Auto-Upload much better and generally seems more polished – I think one can expect nextcloud to advance faster in general. For migrating you can follow the excellent instructions of Jos Poortvliet. run the upgrade script which takes care of the actual migration. Then disable the maintanance mode. After I now got even featured on OMG Ubuntu with both of my apps, I thought it would be a good idea to make them easier to install. after this they will be available directly in the app launcher. Right now the only drawback is that both snaps include the full python3 and gtk3 runtimes and therefore weight around 80MB in size. If you do not mind some extra steps for installation you can get them as 100KB debs from their PPAs: Teatime, Sensors-Unity. However in the near future there will be a shared gnome-runtime snap which will mitigate the size issue.